Bield How015394 32321work01539 433251fax Self-cateringBield How has been refurbished and modernised to offer guests a delightful holiday base for any season. It sits in an elevated position, with a sunny south and westerly aspect, above Lake Road, equally positioned between Lake Windermere and the centre of Ambleside village and with fine views to the fells around. Reached up a number of steps from the garden this detached property, internally, offers level, two bedroom, two bathroom accommodation in an ideal location for a busy or a relaxing holiday, ideal for two couples or a small family. Accommodation: Entrance door at the side of the property into heated hallway where you can hang coats and leave boots. Well equipped dining kitchen with Aga (not in use May/June/July/August) and separate electric hob and oven, flat screen TV and fell views. Comfortable living room with living flame gas fire, TV with Sky + basic package, DVD, free Wi-fi and fell views. There are two bedrooms - a twin room with en-suite shower room (double size shower cubicle with power shower, wc, basin and heated towel rail). King Size room with en-suite bathroom with bath, shower over, wc, basin and heated towel rail. Both bedrooms have wall mounted flat screen TVs and fitted cupboards. The property has been tastefully furnished and decorated in a contemporary style with fitted carpets and tiled floors throughout. There is a very light and airy feel to the house with views from all the front picture windows. Double Glazing and gas central heating and hot water. Outside: Patio area to the front of the house with table and chairs and fell views. Parking for one car in the shared driveway. The property is situated on a hill, so access to the property is up a number of steps from the parking area. Shops and pubs in Ambleside approximately 5 minutes walk, Lake shore approximately 10 minutes walk. Bield How offers weekly bookings starting on Saturday. Bield How has been refurbished and modernised to offer guests a delightful holiday base for any season. 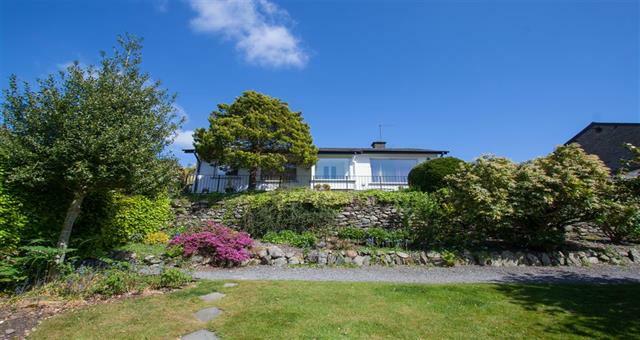 It sits in an elevated position, with a sunny south and westerly aspect, above Lake Road, equally positioned between Lake Windermere and the centre of Ambleside village and with fine views to the fells around.